With the exemption of a day filled with traumatic events, not many of us can sit back and remember every conversation word for word, every place we went to and at what times, every meal we ate, and everything we watched on TV on one day over a week ago. 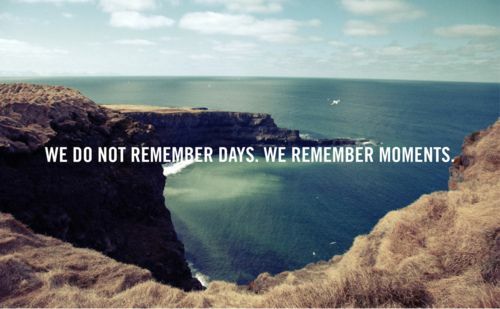 What we do remember are the good, and the bad moments that we made with the people we love and by ourselves. 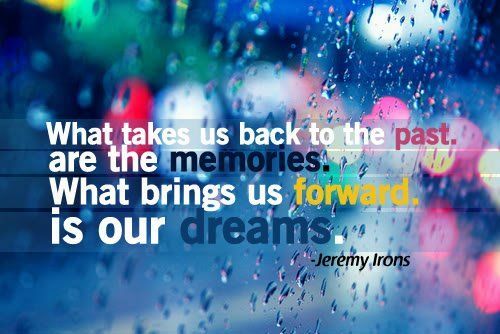 What takes us back to the past are the memories, what brings us forward are our dreams. The only things that should take us back to the past are the memories we made with the people that were in our lives in our pasts. What should bring us forward are our own dreams for out future. In order to set legitimate, and real goals for our future we must in a sense, forget about the past. When you finally let go of the past something better comes along. This picture quote symbolizes an important process that we should do regularly in our lives, let go of the past. Our past experiences are in our past for a reason, and though it is important to learn from these experiences, it is also a must to realize that there are no do-over of your past, and more importantly to live in the right now aiming high towards your future. 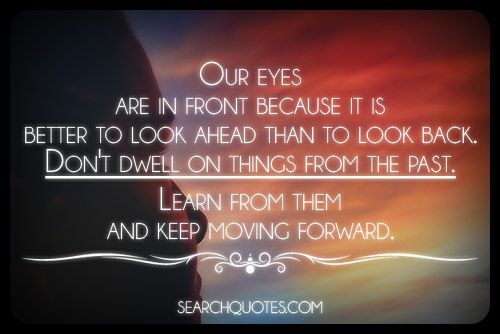 Our eyes are in front because it is better to look ahead than to look back. Don't dwell on things from the past. Learn from them and keep moving forward. Looking ahead is one of the most difficult concepts for humans to grasp as we advance in this journey that we call life. Little do we realize that when we look back, we slow ourselves down from progressing forward. Try something for me. Try standing up, and looking ahead for about two seconds. Now quickly turn your head backwards, and without turning it forward whatsoever, try taking ten steps forward. 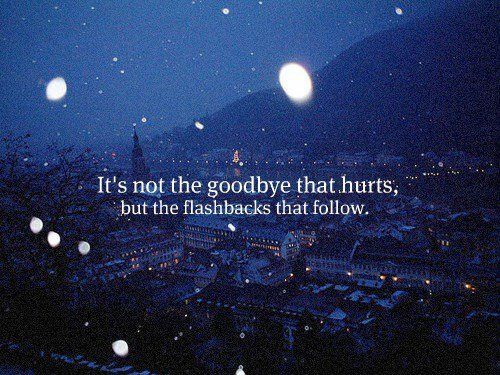 It's not the goodbye that hurts but the flashbacks that follow. It truly is hard to say goodbye to yesterday sometimes. Sometimes it seems as though all that we are able to remember are the good times that we may have shared with someone. When you are apart from someone you love, the memories that you shared that make you miss that person are usually the good memories you share. It is hard to move forward in your life staring through your rearview mirror, so try to remember that your past is in your past for a reason.